NEW for Black Friday Week 2018 at The Chair, you can bag a bargain with 10% off Gift Vouchers for The Chair and Pure In The City Beauty! Gift them to loved ones or spend them on fabulous presents like GHD straighteners, luxurious Kerastase products or relaxing beauty treatments. You could indulge yourself and use them to enjoy 10% off some pre-Christmas pampering to give you added sparkle this Winter season… On our wish-list are the new Nanokeratin Brazilian blow-dry, gorgeous wavy hair extensions by Easilocks and an OPI pedicure for party feet! The Chair gift vouchers are available in £10, £20 and £50 denominations and can be put towards any treatment or product in salon. 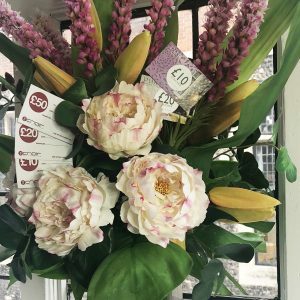 Pure In The City Vouchers can be put towards any beauty treatment (please note that vouchers are not interchangeable between The Chair and Pure In The City). This unmissable offer is available on the 23rd and 24th of November only, buy in the salon or order over the phone and collect when convenient. Call 01227 455545. We are also doing our Kerastase Gift boxes – back by popular demand! They sold out last year so be sure to pop in or call on Black Friday to get yours. More details about the gift sets can be found on our offers page and in a dedicated blog post.